To begin: A special thanks to Henri Art Magazine for providing a new home for “Seen in New York” after the untimely demise of Abstract Critical. I’ve been genuinely enjoying chronicling the broad reemergence of abstract painting in New York, albeit in my own highly opinionated way, and it’s my goal to continue writing these round-ups in September and January when so many things open all at once. Warren Isensee opened a particularly strong solo exhibition at Danese Corey. There were generally fewer of the labyrinthine compositions that I associate with Isensee’s work, in favor of more centralized compositions, many of which were stripped down to a confident and nervy simplicity. It’s not minimalist by any stretch, but he’s using the field as a kind of frame and ground simultaneously. This leaner approach with varied spatial readings was for me most effectively exemplified in Nine by Eleven from 2014, in which a flickering red grid floats in (or is surrounded by) a yellow field over a decidedly landscape-like brown bar at the bottom of the canvas. As to the more maximalist canvases on view, I particularly enjoyed Surface Noise from 2014. It was a rock solid, centrally composed grid, but the celebratory approach to color kept it from feeling static or rigid. Julie Oppermann, TH1225, 2012. Acrylic on canvas, 82” x 72.” Photo by Etienne Frossard. Mixed Greens started off the year with a group exhibition in which there were several painters I’ve admired for some time, plus some who were news to me. Anyone who’s read this column in the past knows how enthusiastic I am about Vince Contarino’s work. He had two small canvases in the show; Space Invaders form 2014 featured his signature blend of gestural and geometric – his greatest strength – and NT/NF/16, also 2014, was more of an uninterrupted field, something I haven’t seen from him before and that I would really like to see on a much larger scale. Suzanne Song contributed two tromp l’oeil abstractions (Slitslip and Centerfold, both 2014) in which the surfaces were built up in a thick, sandy relief. The painted shadows and the actual shadows cast by the impasto created a loopy confusion between the real and the illusionistic – these paintings were playful in the best possible sense. Even further into the realm of the impasto party was Zander Blom, whose candy colors and toothpaste application really should have been an undergrad disaster, but were instead quite terrific. He had four paintings in the show, and I tended to gravitate toward the more restrained compositions, even though lack of restraint was generally their key feature; Untitled (1.615) from 2014 was my favorite. I’ve always wondered whether Julie Opperman chose her painting style based on her name, but whatever the case may be her TH1225 from 2012 was the largest picture in the show and was a real stunner. Its flashing moiré patterns and paint smears together read like a gestural abstraction that had been run through a shredder and then reassembled. Dan Walsh, Landing, 2010. Acrylic on canvas, 55” x 90.” © Dan Walsh. Courtesy Paula Cooper Gallery, New York. Dan Walsh opened a museum-style 20-year retrospective at Paula Cooper, with paintings, drawings, and books made between 1994 and 2014. I’m always interested in agglomerations of this kind, because they invariably show the strength and evolution or conversely the limitations of an artist’s vision over time. 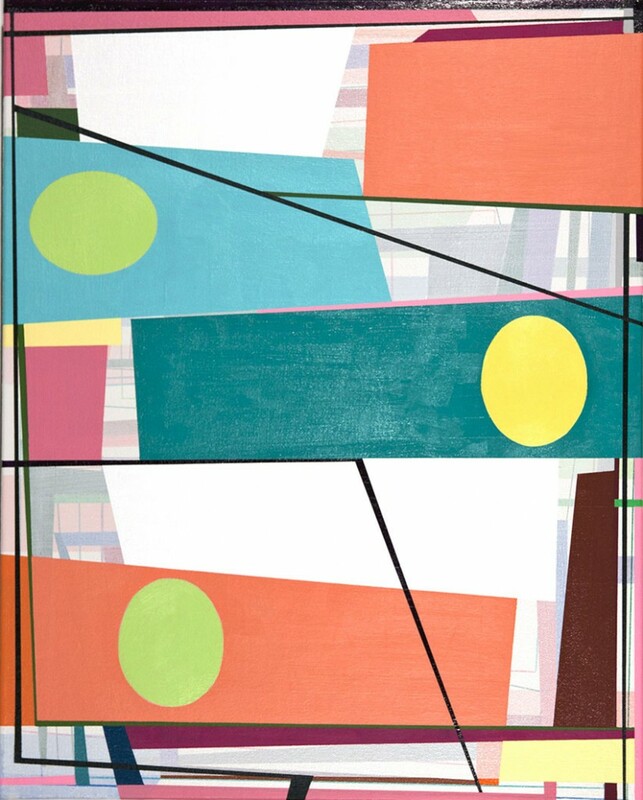 The former was definitely on display here – Walsh started off with a quirky, personal take on geometric abstraction and has slowly pushed and pulled it into subtly different directions. Without ever really changing course from a fairly limited set of motifs, he’s achieved a surprising amount of variety. The two paintings from 2010 (at least one of which I remember seeing at the time) really stood out for me. 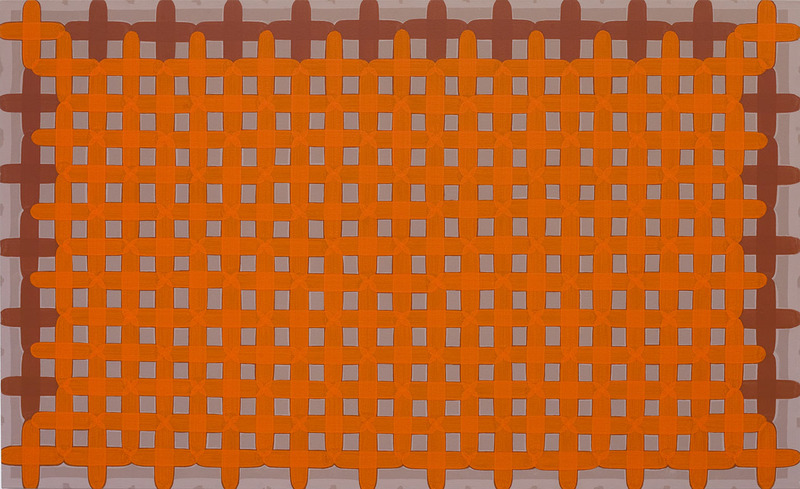 The orange grid over a slightly wider maroon grid in Landing glowed with the intensity of a computer screen. Playing the fully saturated color against the more earthy underlying grid and the subtle warm grey ground activated the orange in a profound way. The framing elements at the top and sides (but not the bottom) gave it structure without boxing it in. Framing was also a key feature in Grotto, which conjured up Islamic architecture. The transparency of the yellow grid over the dark ground in the center read like light or projection, which created a nice tension against the solidity of the architectural references. Kellyann Burns, 8:29 PM 8/22/12, 2012. Oil on alu-dibond, 30” x 24.” Courtesy of the artist and McKenzie Fine Art, New York. 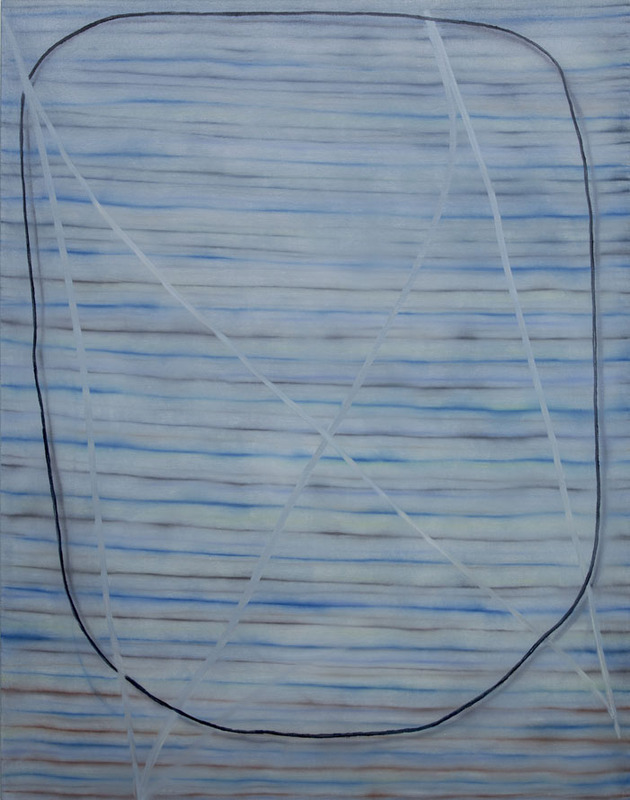 Kellyann Burns showed a convincing group of hard-edged abstractions at McKenzie Fine Art. The blocks of color were applied in layers then patiently and methodically scraped, sanded and reapplied – even the more uniform, opaque areas of color betrayed some small evidence of this continual re-working, and at their best there were shades of Hans Hoffman. There were essentially three ranges of scale, with the large paintings around 5’ high, and the small ones only 10.” I tended to respond to the medium size pictures best – their scale situated the viewer close enough to the surface to really appreciate the subtle undulations of color, but still gave the artist enough surface area to create nuance and surprise. I saw the show twice and both times was drawn straight to 8:29 PM 8/22/12 at 30” x 24.” The central color was hard to name and the smeared transparency at the bottom felt like it was in motion. The thin red bar at the top was a terrific way of completing the composition; it created a roof for the picture, but in a most understated way. 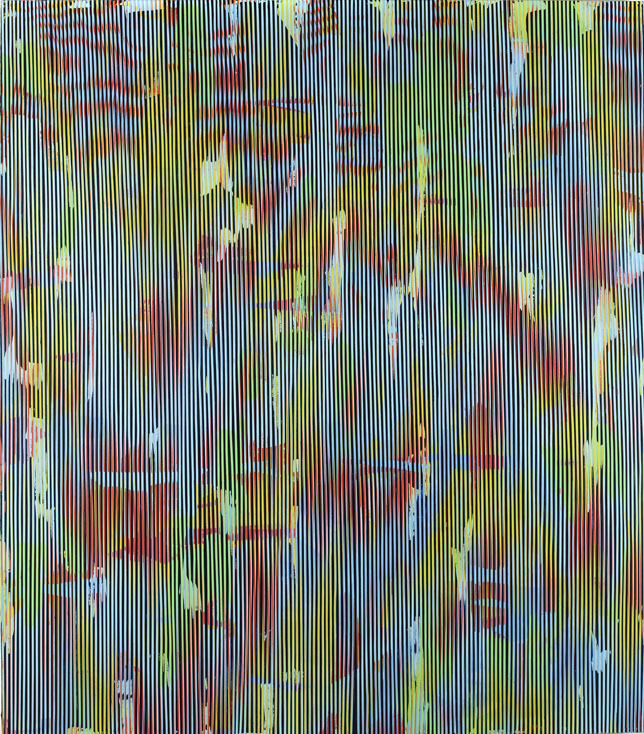 Cheyney Thompson, StochasticProcessPainting(84048 steps) = FunctionalPath(i)(840.48 meters, 2015. 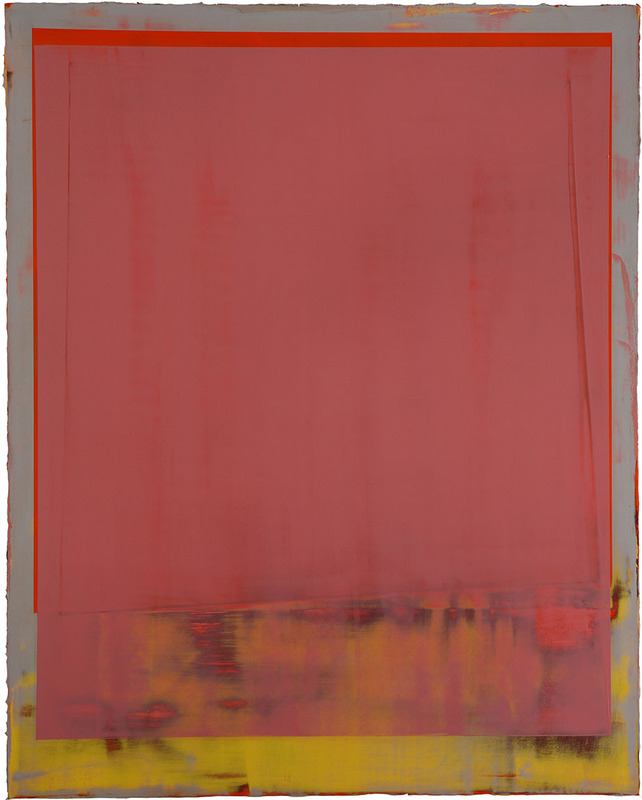 Oil on canvas, 81 1/4” x 161 13/16.” Image courtesy of the Artist and Andrew Kreps Gallery, New York. I’ve been very hesitant to wade in to the whole Zombie Formalism debate. Its central conceit (although never stated in this way) is that the visual lacks profundity; that some culturally urgent subject is what gives art its importance. The Cheyney Thompson show at Andrew Kreps seemed to me to unwittingly provide a great refutation of this position. 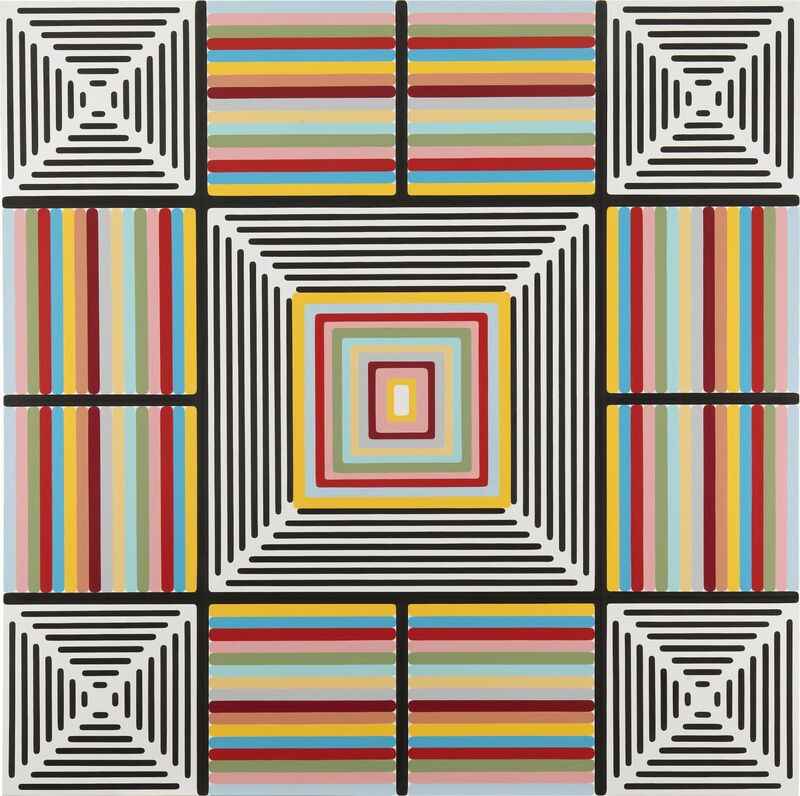 These paintings of grids over grids, with pale digitization and tantalizing suggestions of the photographic within the stubbornly abstract, were fantastic – one of my favorite shows of the new year. I only later learned that the images were derived from “the random walk algorithm, a formalization of Brownian motion that is used in financial instruments to model market behavior” (quoted from the press release). This information neither added nor detracted anything to these wonderful paintings – its only significance being that it created a starting point for compelling images. It begins and ends with the visual for me and if that makes me a zombie, then so be it; I could spend a long time stiffly shambling back and forth in front of Thompson’s StochasticProcessPainting(84048 steps) = FunctionalPath(i)(840.48 meters). Being undead would render me blissfully ignorant of the information embedded in the picture’s title. Clinton King was featured in the inaugural exhibition at Transmitter in Ridgewood, Queens with a solo show entitled “Open Ended,” comprised of seven 20” x 16” paintings and four that were 64” x 50”. The small ones were witty, but the large ones were terrific, and played with the gaps between the painterly illusion of depth and the literally two-dimensional in a variety of ways. The grounds in each were composed of somewhat wavy stripes in muted and subtly modulated colors that were softened and blended at the edges, and which conjured landscapes, seascapes, and cloudscapes – the traditional space (both literally and metaphorically) of painting from Poussin through impressionism. A loosely drawn faming element was added by what looked like a finger being smeared through the paint; the kind of drawing you might see someone make on a dirty or frosty car window. Added to this were simple compositions of thin black stripes, which were given subtle drop shadows – they seemed to float about ¼” above the picture plane. 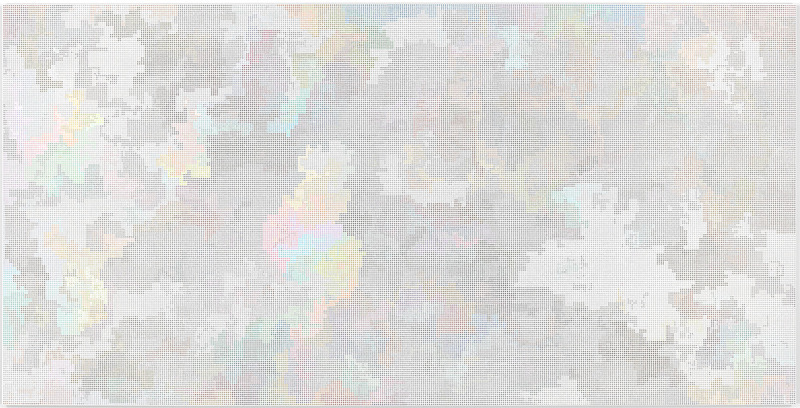 This index of spaces kept these deceptively simples paintings endlessly interesting. My favorite was Almost Me; it was the most saturated of the bunch, and the placement of the finger-painted smears and the black stripes were the reverse of the above description. Gary Petersen opened a strong solo at Theodore:Art. The big draw was two large murals painted directly on the gallery walls, but I must say that the large assortment of small paintings really knocked me out. In the last year Petersen has added a few new motifs to his usual selection of stripes and frames, and they’re working. Look for Another Life from 2014, in which the planes, ellipses, and bands all posit different spatial vantage points. Siri Berg showed color-driven work from the 70s through the 90s at Hionas Gallery. The three lovely Kabballah paintings in the front were strongly influenced by minimalism yet still incredibly poetic. Sarah Eichner hung a nice group of op-inspired canvases at Sears Peyton. The obsessive, recessional space of Spectrum Flags and the layered perspective matrices of Spectrum Weave 3 were especially compelling. “Working Knowledge” was a large, ambitious group show in a bootstrappy, artist-run space called Lorimoto in Ridgewood, Queens. There was lots to like, but I was especially taken with contributions by Robert Otto Epstein, Ryan Dawalt, and Rob De Oude. Another strong group exhibition was “Elements” at Minus Space. There were solid paintings from Li Trincere, Cris Gianakos, Vincent Como, and the venerable Mark Dagley, but the real star was Rachel Beach – I generally don’t have much valuable insight into the discussion of sculpture, but her work is awfully hard to ignore. Next Post 21st Century Space? New York, New York, New York. You should not forget there are a lot of us struggling out here in the hinterlands. We did not forget. We know that there’s really fantastic art being made all across the country, but this is where we live. Otherwise, Paul would have written a “Seen in the Hinterlands” column. Yes, precisely my point. Thank you! Thanks for a great round up of what’s going on there, and bringing NY to me here in UK. Lots of interesting abstraction happening.